"Units with West exposure at 33 W Delaware get the best views of Washington Square Park from the building. Very few 2 bedrooms units available in this building - mostly studios and 1 bedrooms." 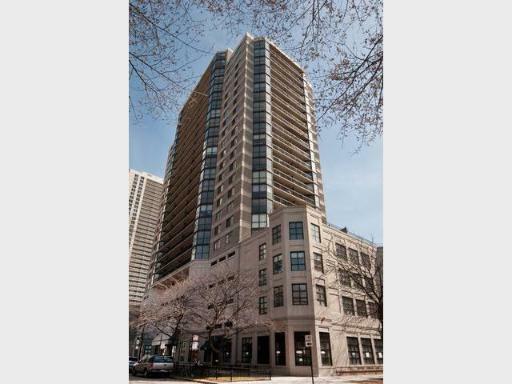 33 W Delaware Place is a stately condominium building located in the heart of Chicago's prestigious Gold Coast neighborhood. Just steps from Newberry Library and Washington Square Park, the park-like setting offers residents an escape from the bustle of city life with the convenience of being minutes from the best shopping and nightilfe Chicago has to offer. Amenities at 33 West Delaware include a fitness center, 24 hour doorman, patio and sundeck with skyline views, and an on-site dry cleaner. 33 W Delaware is also a pet friendly building with deeded parking available.